One of the occupational hazards of working in a prison is that you will inevitably encounter an individual so criminal and disordered in his thinking, so entitled, confrontational and combative, that you will have to terminate the interview and order him to get out of your office before you activate your alarm to summon custody. Depending on your nature and character, you will experience any number of emotions as a result of this interaction, and then you will have to deal with it. For me, there was mainly the feeling of being straight up pissed off. I took a break and went out to the parking lot, where I sat in my car and scrolled through my phone and checked Facebook. And that is where I first saw the news about the San Bernardino shootings at the Inland Regional Center. The Inland Regional Center, in case you don’t know, is a state agency that provides services to individuals with developmental disabilities. There are a handful of Regional Centers throughout the state of California, and I know people who have either provided or received services at these facilities. I also know people who are capable of murder and people who have committed murder. I don’t know all of them. We don’t know all of them. There are those who are locked up now, and others who are still out there. These days, when I learn about a new shooting incident, I can’t help thinking that there will inevitably be another one. It’s only a matter of time. 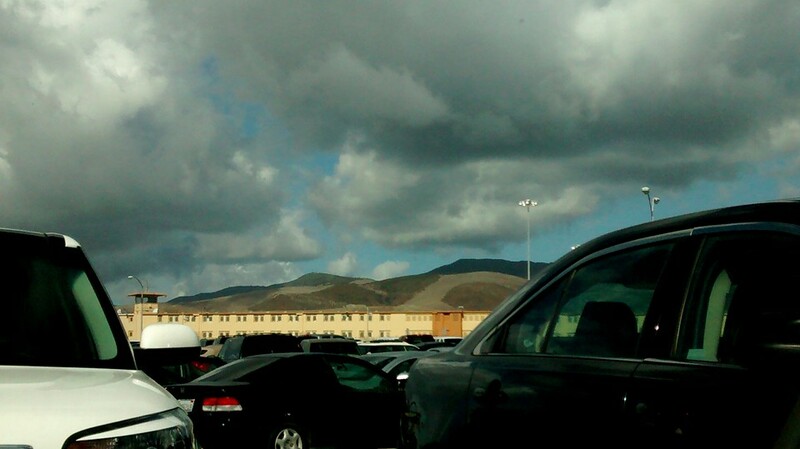 I sat in my car for a few more minutes and tried not to let things bother me, but eventually I had to get out and start walking back to the prison. Categories: Work (My Day Job) | Tags: prison | Permalink. Sometimes it seems the world is only a dark, horrible, twisted place full of anger and despair. I hope tomorrow feels lighter and more joyous. Yes, that is exactly how I feel about the world sometimes. I also have to remember that there is hope and good, too. Thank you for reaching out with these comforting words.